The ML LCP (V01) provides remote/grouped operation of our NSCD products and is offered in configurations which can control 2, 4 or 8 NSCD's. 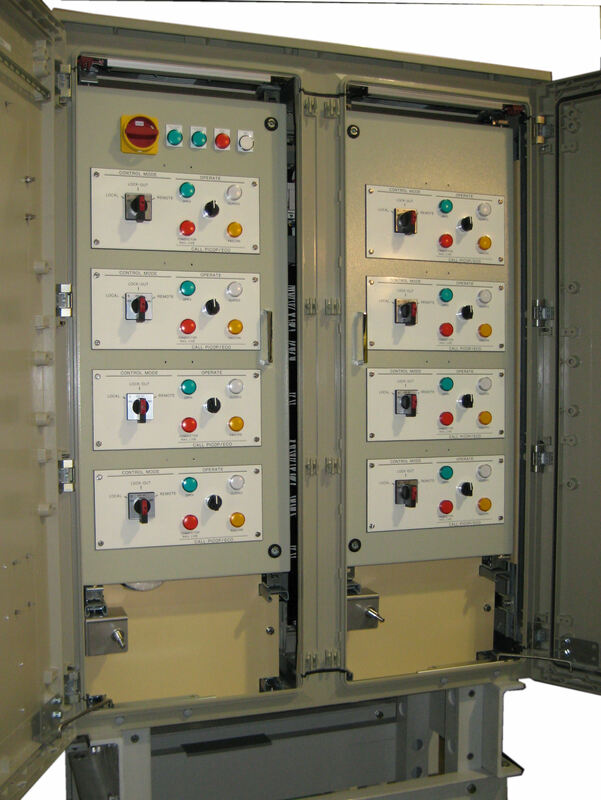 The Negative Short Circuit Device 2kA (NSCD) provides a short-circuit path between the DC Traction Supply and the Negative Return to protect against the inadvertent re-energisation of the circuit. 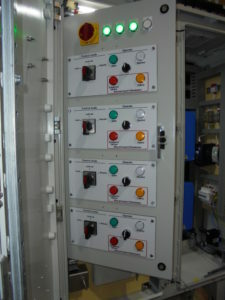 The NSCD can be operated remotely via a SCADA Interface, locally via a Local Control Panel and at the NSCD itself for maintenance. 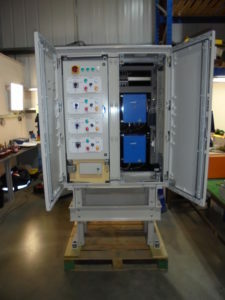 The NSCD consists of a motorised 3.2kA Disconnector to provide the short-circuit path, a manual 2.5kA Disconnector to isolate the motorised Disconnector for maintenance, panel lighting and anti-condensation heating, and the associated control equipment. 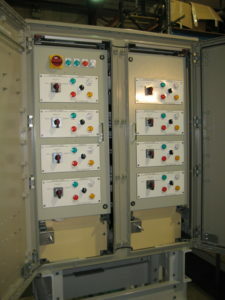 Both Disconnectors are off-load devices so voltage monitoring is included to give indication that the DC Traction Supply is live and to inhibit inadvertent operation of the motorised Disconnector.